Indian Air Force (IAF) Airmen Recruitment Rally 2017- at Borjhar, Guwahati for North East States. - Jobs4NE : Jobs in Assam and North East India. Indian Air Force (IAF) Airmen Recruitment Rally 2017- at Borjhar, Guwahati for North East States. 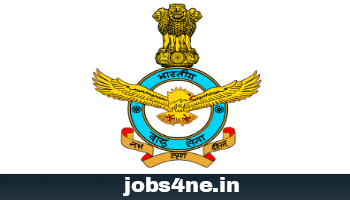 Indian Air Force (IAF) invites application from Indian male candidates from the state of Assam, Arunachal Pradesh, Manipur, Meghalaya, Mizoram, Nagaland, Tripura, Sikkim & West Bengal to appear in recruitment rally to join as Airmen in Group 'Y" (Non-Technical) Musician trade. Starting date of recruitment rally: 01-06-2017. Last date of recruitment rally: 05-06-2017. Venue & Time of recruitment rally: 11 Airmen Selection Centre, VIP Chowk, Borjhar, Guwahati, Assam. Rally venue will be open from 0600h-1000h. Name of the post: Airmen in Group 'Y" (Non-Technical) Musician trade. Total no. of posts: Not Specified. Age Limit: Candidates should born between 07th Jan 1993 to 27th Dec 2000 (both days inclusive). Married candidates are eligible only if their age of enrolment is above 22 years. Educational Qualification: Passed Matriculation/ 10th class or equivalent with minimum pass marks from any COBSE recognized Board and should be proficient in playing at least one of the following musical instruments. Pay and Allowance: During training a stipend of Rs. 11,400/- pm and after completion of training will be approximately Rs. 20,000/- pm. i. For candidates from Assam, Arunachal Pradesh, Meghalaya, Nagaland, Mizoram, Tripura or Manipur: SDM/ DM/ Executive magistrate or any official authorised by the respective State Governments. ii. For Candidates from State of West Bengal: DM or any official authorized by the state Government of West Bengal. iii. For Candidates from State of Sikkim: Tehsildar/ SDM/ DM or any official authorized by the State Government of Sikkim. 2. Proficiency Test in playing Musical Instruments. To get more details on this recruitment candidates are advised to download the official notification from below link.